On December 1st, SAS members and friends celebrate the traditional Czech holiday, St. Nicholas Day. 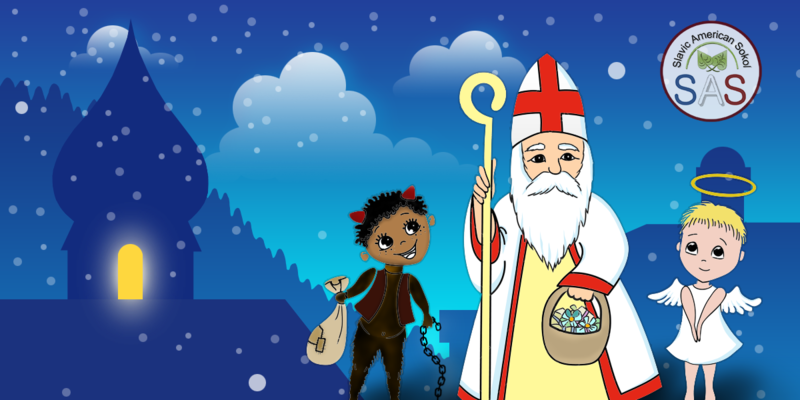 It is a great opportunity for the children to perform Czech and Slovak Christmas carols for St. Nicholas, the patron saint of children, and receive small gifts from St. Nicholas in return for their performance. This event usually marks the beginning of the Advent season and is enjoyed by children and parents alike. Please join us for an evening of fellowship, a children’s Christmas performance, and a visit by Sv. Mikuláš, the Angel, and the Devil! Mikuláš is set to arrive at approximately 5:30pm.